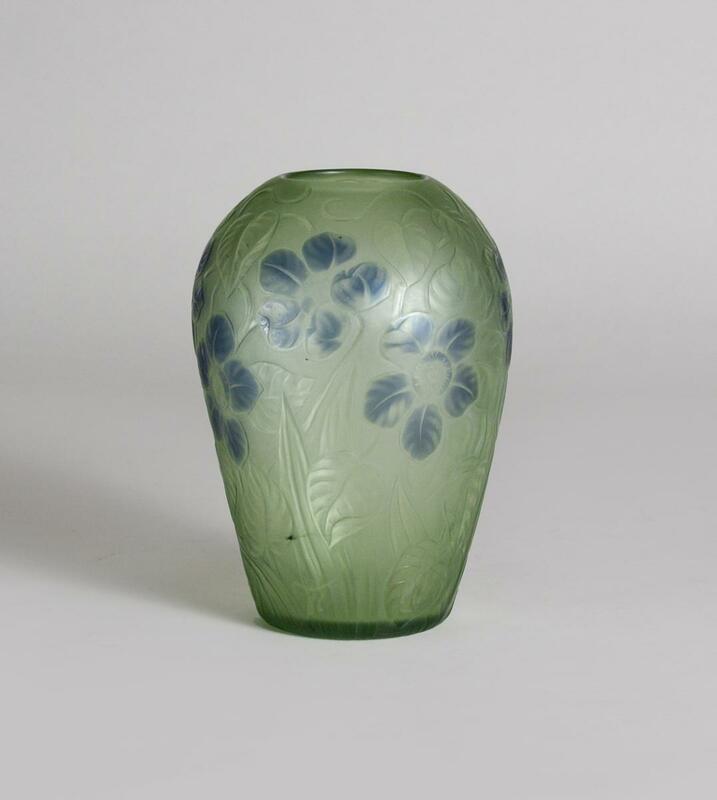 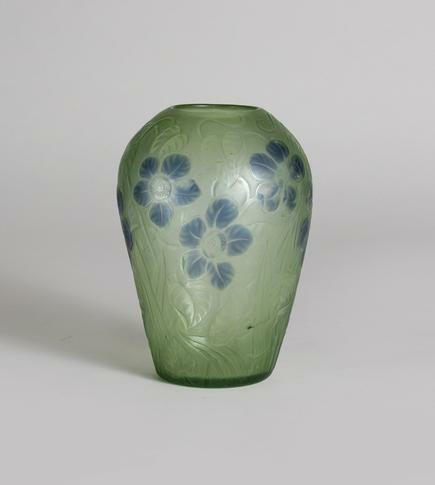 A Tiffany Studios Favrile Glass 'Cameo' Vase with allover decoration of leaves, vines and blue flowers, signed. Lillian Nassau originally sold this vase in the early 1960's; you can see it in a period photo from the 1960's of a holiday display window at the gallery's original location on Third Avenue. 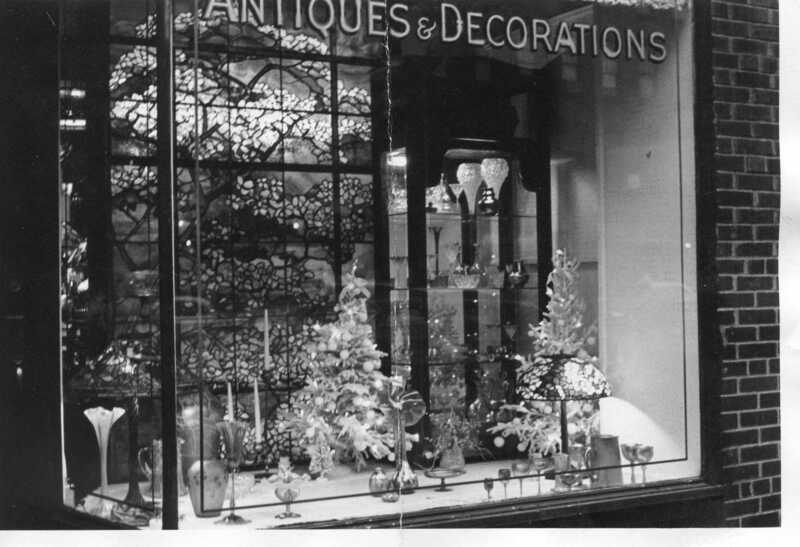 Lillian Nassau moved to the current location at 220 East 57th Street in 1967. 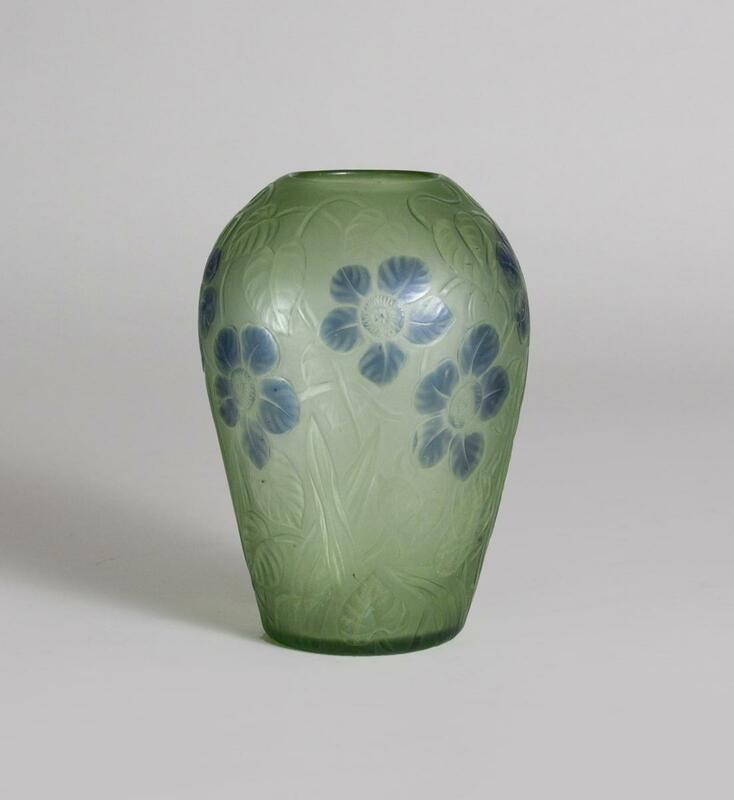 Illustrated: Martin Eidelberg, "Tiffany Favrile Glass and the Quest of Beauty," (Lillian Nassau LLC, New York, 2007) page 57.